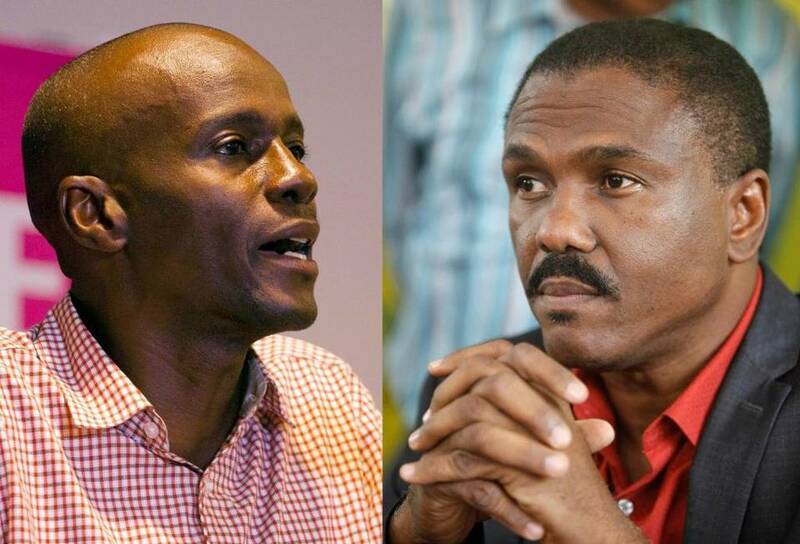 Haiti’s presidential runoff is slated for Jan. 17 after being postponed in December. The international community has often stunted Haiti’s democracy. FILE – In this file photo combination shows presidential candidates Jovenel Moise, left, from the PHTK political party, speaking in Port-au-Prince, Haiti, Thursday Nov. 5, 2015, and presidential candidate Jude Celestin, from the LAPEH party, during a press conference in Port-au-Prince, Haiti, Friday, Nov.